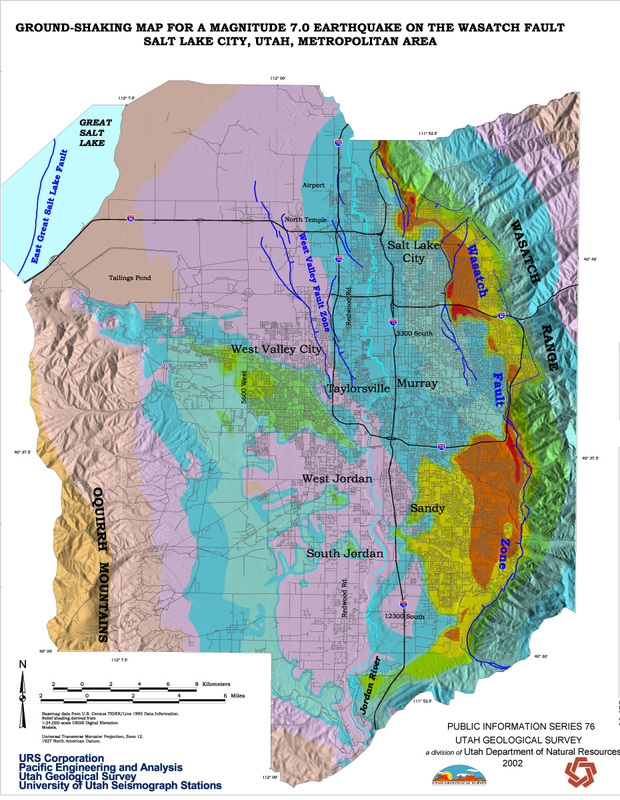 Ground-shaking map for a magnitude 7.0 earthquake on the Wasatch fault, Salt Lake City, Utah, metropolitan area: Utah Geological Survey Public Information Series 76. Frequently Asked Questions About the Recent Earthquakes! Retrieves seismic design parameter values for the design of buildings and bridges at sites in the U.S. and its Territories.